The secrets behind creating compelling and successful business plans sure to attract financial backers are revealed step-by-step in this invaluable guide. Containing detailed information on Risk Management Association (RMA) data and clear explanations of the guidelines that banks, venture capital firms, and the Small Business Administration (SBA) use to grant loans and other financial support to businesses, the resource equips potential business owners with a wealth of knowledge on lending procedures. Hundreds of useful ideas for developing, operating, marketing, and building a profitable business are included as are copious examples and resources for further study. 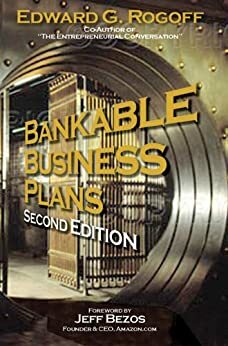 By demonstrating how to make each business plan uniquely suited to a particular endeavorsuch as home-based businesses, sole proprietorships, and franchise operationsthis comprehensive handbook ensures that anyone can embark on a new business venture with confidence. "I knew Ed before I started Amazon.com. I believe his experiences with his own successful ventures and as a professor of entrepreneurship make him an excellent person to guide you from initial idea through the creation of an effective plan that will serve the needs of your customers and investors. A strong business plan will not only help you locate the early funds you need, but will also clarify your thinking and serve as a starting blueprint for future growth in what is always a changing world." "Not since Dale Carnegie's "How to Win Friends and Influence People" has a book enabled my sales force to improve their power of communication and their effectiveness." -- Robert Rondinella, sales manager, Ramsgate Leasing Systems, Inc.
"Not since Dale Carnegie's "How to Win Friends and Influence People" has a book enabled my sales force to improve their power of communication and their effectiveness." --Robert Rondinella, sales manager, Ramsgate Leasing Systems, Inc.
"I believe[Rogoff's] experiences with his own successful ventures and as a professor of entrepreneurship make him an excellent person to guide you from initial idea through the creation of an effective plan that will serve the needs of your customers and investors." Jeff Bezos, CEO, Amazon.com"
This is a great conceptual book that is helping me understand what to think about while brainstorming and planning. It is finely written and easy to read. I would not say this book is full of tools to use. So, you won't find hundreds of templates and samples, rather it thoroughly explains what is important and tells you why. I am planning two initial readings, one to get the gist of it and a second to do the work it recommends. I feel this book will be useful again and again but more as a guide rather than a toolkit. 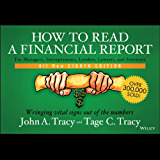 This book was a textbook for a class that I took in Small Business Management. It met my expectations as a textbook. It was also an interesting read to me as a small business owner. I learned several things about constructing a business plan that I did not know previously. I would recommend this book even outside the realm of a class textbook. This went further then we needed when we first began planning a business plan. It delivers a steep learning curve. IN spite of that the info it contained all seemed right on target. If you wanna sell your Business Plan to potential investor, you should read this book. One of a kind.